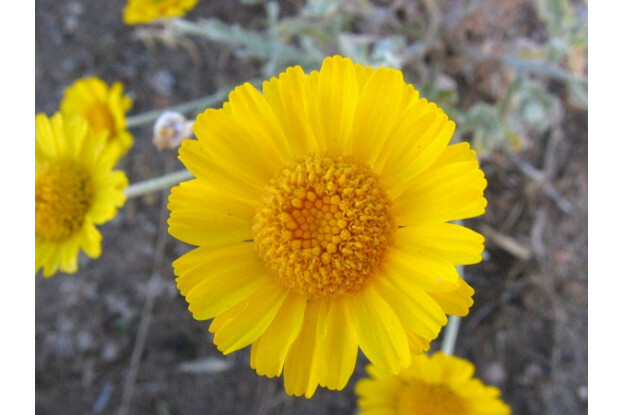 Desert Marigold is a drought tolerant perennial native to the southwest deserts. It produces brilliant yellow flowers which bloom intermittently from March to November along roadsides or on well-drained gravelly slopes. Desert Marigold can grow to be two feet tall and prefer full sunlight. Thrives in extreme heat. A common desert wildflower, it makes a great addition to any rock garden, roadside, meadow, or wildflower mix.